A complete Child theme of Adventure blog, which adds features and gives you awesome looks along with fast loading blog site as desired. A clean beautiful and minimal blog theme designed specifically for bloggers to make blogs for photography, food, fashion, lifestyle, magazines, travel, sports, technology, as well as modern newspaper websites. photography WordPress theme that comes with high-quality features and minimal design. 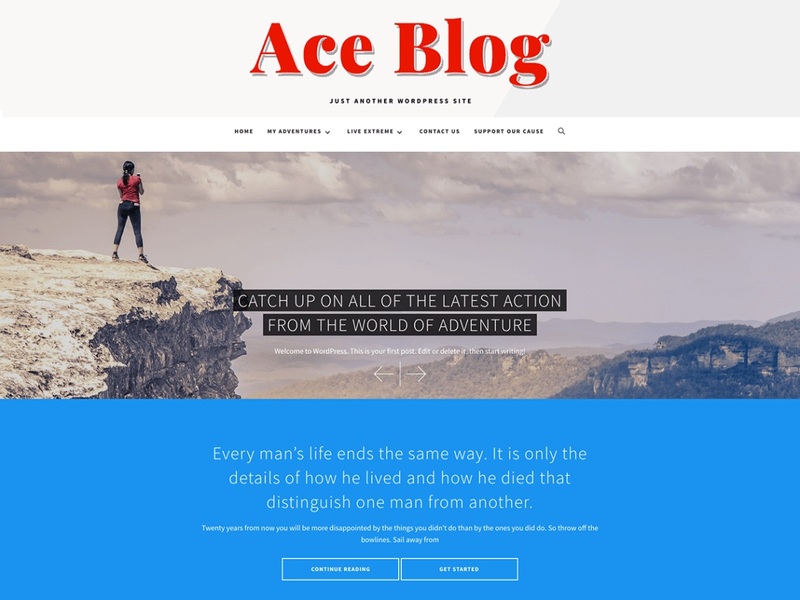 Ace Blog is an adventure, clean, elegant and straightforward. It is ideal for creating photography websites for photographers, graphic designers, freelancers, artists, or bloggers. It comes with customizer API based features that are extremely lite and easy to handle, as it just has all to take your photoblogs to the next level.